Peter commenced practice in Penrith in 1987. He acts for a number of businesses, many of which come from small beginnings and have grown into medium to large enterprises. Peter has developed extensive skills associated with business growth development and specialises in providing technical yet practical advice to businesses of all sizes. Peter also specialises in regular financial reporting and monitoring, having many clients that he has assisted in creating systems which provide accurate monthly financial reports. He is a Penrith resident having attended local schools and been involved with many local community based projects. 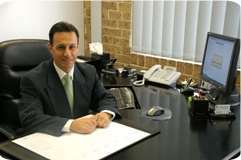 Chairman and Foundation Director of Penrith & District Business Advisory Centre Limited since its establishment in 1988.